Arnaud Lambert is a partner at Accuracy. With over 20 years of experience in financial advisory, he coordinates the transaction service practice within Accuracy and specialises in financial due diligence, valuations and financial modelling in all type of transactions: carve out and disposal of business units, pre-acquisition strategy including measurement of synergies, refinancing, Business development cases, IPOs. Working for both private equity investors and corporates clients, Arnaud has been exposed to a multitude of sectors but developed a specific focus in Healthcare, Aerospace & Defence, Retail, BtoB Services and Manufacturing Industries. During his career, Arnaud has also participated in significant restructuring engagements and has experience as a third party expert in several international arbitration cases. Arnaud speaks French, English and Spanish. Arnaud has extensive expertise in Transaction Service engagements including vendor assistance engagements as well as acquisition due diligence and post-merger integration. Arnaud assists large industrial corporations operating in the aerospace and defense industry with business planning, risks modelling, program independent valuation, contracts reviews, due diligences. He has extensive experience in the healthcare industry providing support for business case modeling, valuation of licensing agreements or other IPRs, buy side and sell side engagements across the entire industry from CROs, pharmaceutical labs, private hospitals, CMOs…). In the Retail industry, he has supervised numerous engagements covering purchasing optimisation, POS development strategy, valuation of stores portfolio, etc. 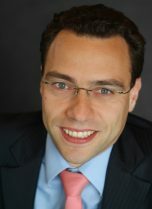 Arnaud has also been involved in commercial litigation cases dealing with the quantification of damages resulting from commercial, and post M&A disputes. He served in several instances as independent expert in front of international arbitration courts or French commercial court (Expert 1592). Strategic review of a leading satellite launch company’s Business Plan for an European intergovernmental organisation. Financial review of a French naval defence and marine renewable energy company’s business plan. Due Diligence on various disposed businesses of a leading European aeronautics and space MNC. Numerous due diligence or valuation work for global pharmaceutical firms or healthcare service providers. Valuation of IPRs for biotech or healthcare companies companies. IPO of an European leader in the retail of entertainment products and consumer electronics. Disposal of a former international online fashion and home furnishing distributor. Acquisition of an European fast-food chain, a leading group of French restaurants and French catering company by a French hotel and catering company. Various due diligence on assets owned by Private Equity firms: a high fashion clothing chain, restaurant chains and a ladies online boutique. Due diligence on internet based B2C companies: a classified advertisements online publisher, a UK-based online fashion retailer and a French multi-channel retailer for apparel and home décor. Appointed as independent expert in International Arbitration cases for a cheminal and advanced materials company, a Central African country, a French integrated oil and gas MNC and other confidential cases in the aeronautic and healthcare industries.